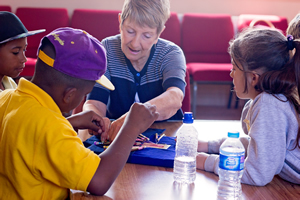 Bridgebuilder aims to build bridges between schools and churches in Milton Keynes by equipping and resourcing churches to connect with their local schools. 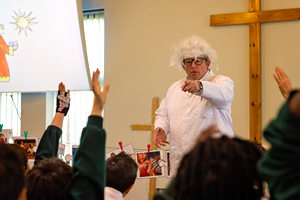 We would love churches to partner with us on particular projects that we run annually such as Christmas and Easter Cracked, where local pupils come to your church and learn about the birth and death of Jesus. We’d also like to help support and encourage you and your members to actively engage with your local schools through the provision of reading schemes, mentoring and pastoral/prayer support to staff and other ideas. Take a look at our church toolkit to see more examples of how you may be able to meet the needs of your local school(s). We seek to support and equip local youth and children’s workers with skills, resources and inspiration to positively impact their local schools and reach local young people. We run a Youth and Children’s Workers Network that meets regularly for an hour or so and seeks to encourage networking as well as support, equip and inspire those that work on behalf of churches with children and young people. We usually also have coffee and food! To find out when the next one is see the events page. If you would like to be on our list and receive reminders about networking dates please subscribe to our mailing list by sending us an email. We also have a growing list of resources we’ve written which you might like to use in your church with children and young people, or we can come and do a youth group visit, please contact us for more info! 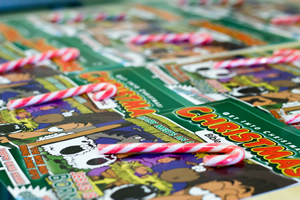 You also might like to get your young people to fundraise for us – there are loads of ideas for FUNdraising in our fundraising toolkit. Everything we do in schools is for the good of young people, seeking to help them explore what they believe, discover their potential and to become better people. We want to encourage young people to have a deep rooted social responsibility, to use their skills and talents to benefit others and to cultivate their faith and values to spur them on to make the world a better place for everyone. We aim to empower Christian young people to live out their faith, make an impact on their school and to grow in leadership skills. We offer young people the chance to be supported by us to lead Christian Union style groups in school with a particular focus on spreading positivity and championing justice within school. 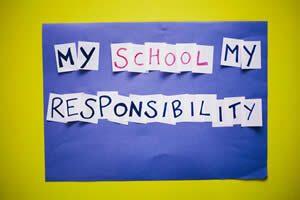 We call this ‘My School My Responsibility’ and have created a booklet for young people, which contains more information. We also seek out young people in year 11 and 13 to join our M.O.U.S.E Team annually and equip them to go into primary schools with us to deliver a presentation to help year 6s in the transition to secondary school. M.O.U.S.E stands for moving on up to secondary education and is delivered in over 40 schools across Milton Keynes. Each year we help oversee and plan Hope MK, a youth event run in October half term, designed to equip young people to impact communities in MK in practical ways and to equip young Christians to share hope to others. 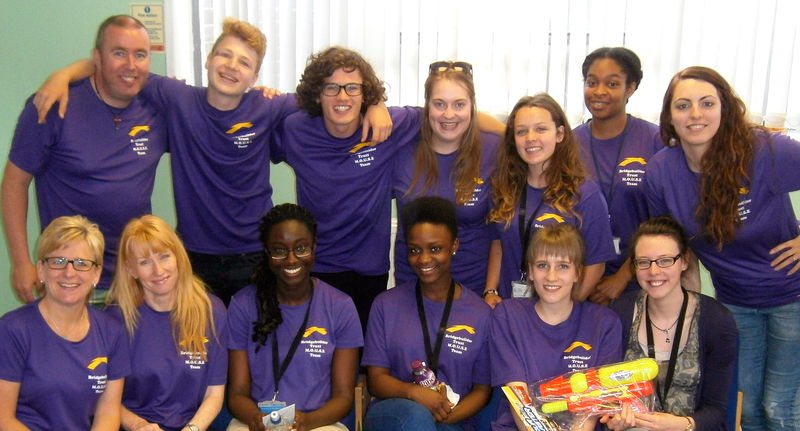 We are always looking for volunteers with particular skills to lead or assist in leading activities and projects for young people in schools, to help with mailings or to represent us in your church to name a few options. Volunteers of various ages and backgrounds expand, enrich and support the work of Bridgebuilder through giving time and skills to schools work, alongside the staff team or recognised voluntary schools workers leading specific projects. Please contact us if you would like to know more about any of these opportunities. All volunteers especially those who help with school based projects attend an informal interview, are screened and DBS checked before being given an agreed role. If you’d like more information about volunteering please contact us and download our volunteers pack. We’d like to come and speak at your church, either for 10 minutes to give an update on what we’re doing and how people can get involved or we’re also happy to lead a larger family segment or family service, speak at your youth group, coffee morning, parent/toddler group and more. Get in touch to book us.